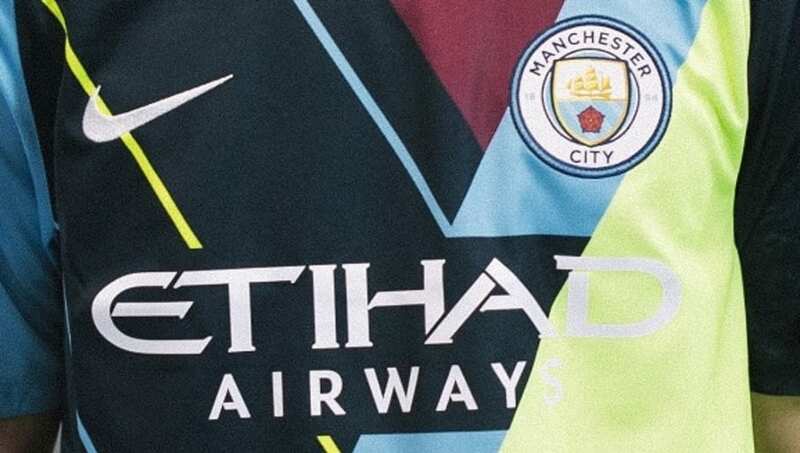 ​Manchester City have launched a limited edition mash-up 'celebration jersey', intended to pay tribute to nine of the most memorable Nike kits the club has worn over the last six years. Only 6,000 of the Nike x Manchester City celebration jerseys - each individually numbered - have been made and will be available from 10 April on Nike.com and at selected retailers. The 2017/18 home shirt, worn when City became the first Premier League club to record 100 points in a single season, and the 2013/14 third shirt, from the Premier League and League Cup double winning campaign, are just two to feature in the 'mash-up'. This season's striking navy blue away shirt also features prominently. Nike have already created similar celebration jerseys for Barcelona and Inter this season. Having first joined the City youth ranks as a young school boy in 2009, home grown starlet Phil Foden has worn all nine shirts honoured at one time or another. "My personal favourite is the home jersey from last season. I made my debut wearing that, so it means a lot me," the 18-year-old explained. "It's great because the fans will be able to point out the jerseys and relive the memories created in them." The shirt will debut as a pre-match option for the Premier League clash against Fulham next weekend and will continue to be worn for the remainder of the season. City began their partnership with Nike in 2013, with this the last City shirt made by Nike as the six-year relationship comes to an end. As of next season, City shirts will be supplied by Puma.